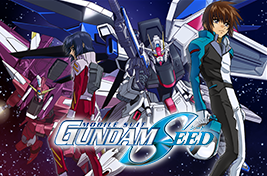 Impulse Gundam is the ZAFT’s advanced model of MS developed after the conclusion of the Junius Treaty. It was the saved from being hijacked at Armory One, and is piloted by Shin Asuka. Since the Junius Treaty bans the use of nuclear engines, ZAFT developed the deuterion beam energy supply system. It enables to remotely receive and recharge its battery from its mothership. Therefore basically (in theory), it never runs out of energy as long as the mothership stands. 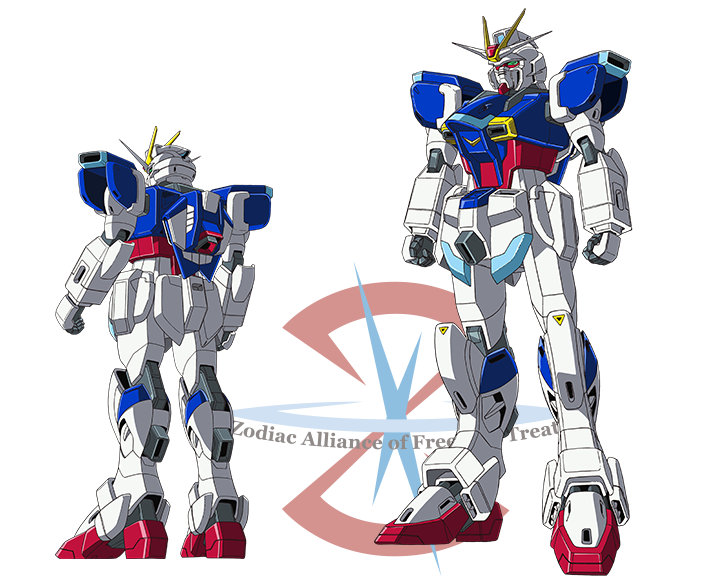 It features Core Splendor fighter which transforms and serves as the mobile suit’s cockpit, and a armament replacement mechanism called Silhouette System, which changes its capability depending on which Silhouette pack is in use and enables instant adjustment to operate in different war situations.